CO-DEVISOR / CO-WRITER / CO-PERFORMER WITH THE TOO MANY WEAPONS ENSEMBLE. 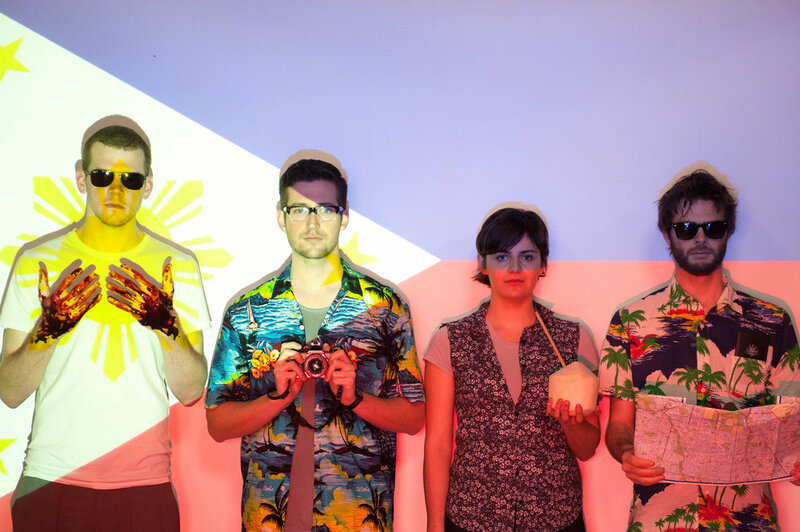 In November 2011, four Australian playwrights travelled to Manila to collaborate on a stage adaptation of Koushun Takami’s notorious Japanese teensploitation pulp thriller Battle Royale. The glossy, hedonistic pulp-violence of the cutting-edge production led to an intense cult following among young Filipinos, and a range unexpected consequences for performers and creators alike. Documentary theatre piece exploring the Battalia Royale project and the ramifications of on-stage violence and international artistic collaboration. Awarded Best Experimental Theatre at the 2013 Melbourne Fringe Festival Awards. Devised, written and performed with Sam Burns-Warr, David Finnigan and Georgie McAuley. Directed by Bridget Balodis, designed by Melanie Koomen. Presented by MKA and Q Theatre Company in association with Melbourne Fringe Festival and Crack Theatre Festival. Supported by City of Melbourne and Arts House.